During an exercise in January, a pilot of the Royal Netherlands Air Force had to reportedly opt for an emergency procedure after an F-16 was damaged by its own ammunition, some of which ended up in the jet’s engine, AzVision.az reports citing Sputnik. 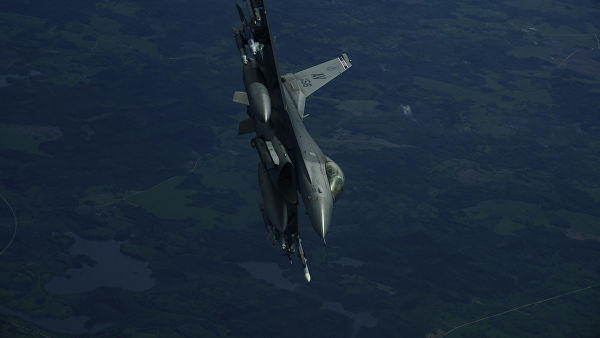 The Dutch military is investigating an incident involving an F-16 jet that was considerably damaged by its own ammunition during a training flight this January, the outlet Nederlandse Omroep Stichting reports. The safety probe is aimed at finding out how an F-16 had struck itself and whether the flight crew or ground personnel were at risk during the training. Investigators are carrying out practical tests and are speaking with the staffers involved. "It is a serious case. Therefore, we want to find out what happened and how we can prevent this in future", says Safety Inspector General Wim Bargerbos, as cited by the outlet. According to the newspaper, the incident happened on 21 January when two F-16 jets fired at a target on the Vliehors training ground in Vlieland with their on-board cannons. One of them was allegedly struck with its own ammunition. At least one piece of the ammo damaged the cladding, while some fragments got into the jet engine itself. However, no one was injured. The pilot activated the emergency protocol and the jet safely landed at Leeuwarden Air Base. F-16 Fighting Falcon multirole fighters are US-made fourth-generation jets. The Netherlands, along with neighbouring Belgium, has been upgrading its air force with next-generation aircraft, pressured into purchasing more up-to-date US-built warplanes. In December 2018, Dutch Defence Minister Ank Bijleveld told the ANP news agency that the Netherlands would boost its defence spending in the coming year to acquire more F-35s. The country had already purchased 37 F-35A stealth fighters, enough for two squadrons, but NATO insisted on a third, ANP reported.